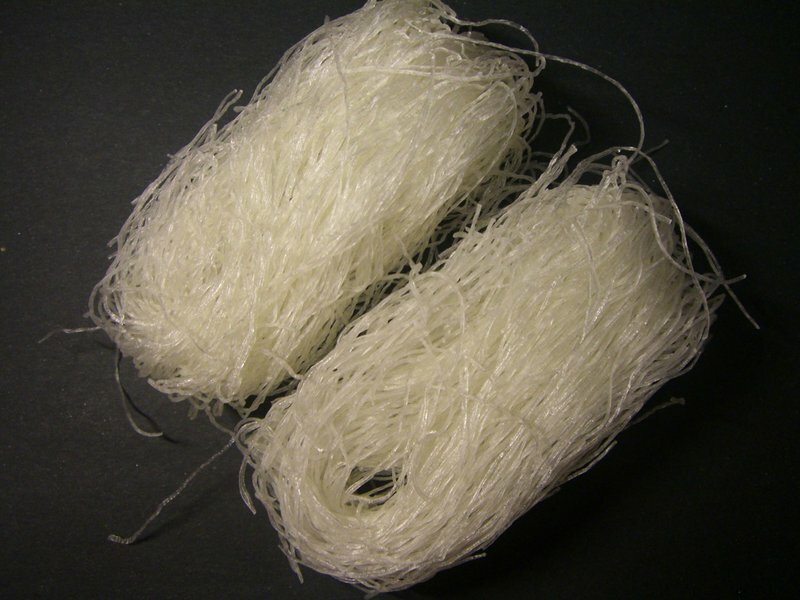 Cellophane noodles (also known as Chinese vermicelli, bean threads, bean thread noodles, crystal noodles, or glass noodles) are a type of transparent Asian noodle made from starch (such as mung bean starch, yam, potato starch, cassava or canna starch), and water. Left: Dried uncooked vermicelli made from mung bean starch. 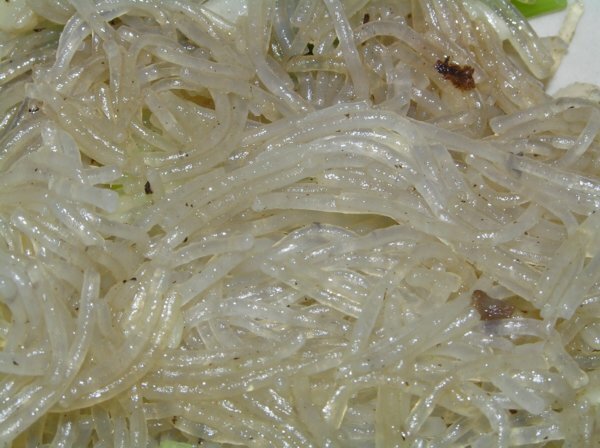 Cellophane noodles should not be confused with rice vermicelli, which are made from rice and are white in color rather than clear. Left: Cellophane noodles have a translucent appearance when cooked. It is generally much longer than rice vermicelli.